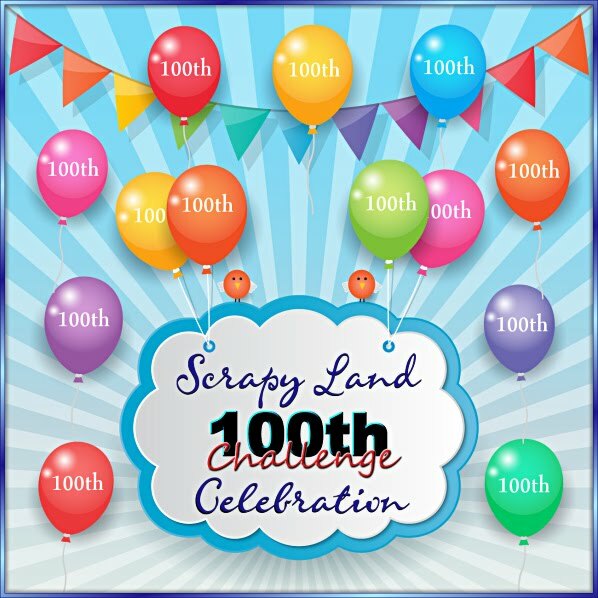 Sherrie Scraps with passion: My 6 mo Blog Anniversary Giveaway and Winner of the Back to School Blog Hop!! My 6 mo Blog Anniversary Giveaway and Winner of the Back to School Blog Hop!! Happy Monday!!! Hope you all had a great weekend! I am super excited to celebrate my 6 month Blog Anniversary!! It actually was on last Monday Aug. 8th but my week was so packed along with being out of town for a few days that I decided to wait til today to announce it and to celebrate it!! Wow, where do I begin. When I thought about having a blog it was to allow me to share some of my creations and to pick up some tips and or idea's on crafting. I never had a clue on just how many crafty bloggers were out their in blog land. I am amazed by the amount of friends I have made through this journey. I have loved every minute of it and am truly blessed to have so many blogger friends. You're all are amazing, talented and so gifted. I am motivated not only because I enjoy crafting but because of you. Your sweet comments and support along the way has been so wonderful. I am so grateful and honored that I have had the opportunity to Guest Design on some blogs along with attending Blog Hops in the past 6 mo and enjoying taking it all in:) Thanks you guys so much for the last 6mo and look forward to the next 6mo!!! Since I am just loving this cartridge~Elegant Edges I decided to give one away to one of my blogger buddies...along with this 6 x 6 paper pad and matching paper flowers from~ it's the little things. 2.) Leave a comment on this post letting me know you are. Be sure to leave your contact info in case you win. 3.) Extra chance~Spread the news...Post about my giveaway on your blog and come back and tell me you did. ** I will choose a winner, via random.org and post the winner on Tue Aug 23rd****Please note, due to shipping I can only accept USA & Canada entries. Carri from DoubleClickConnections Congrats Carri!! Congrats Sherrie on your 6 month blog-iversary! You are so very inspirational and I always love seeing your creations! Here's to another excellent 6 months!! I just love your work. Thanks for the chance to win a great giveaway. Happy Blog-iversary! I am a follower of your blog. Happy Blog-iversary Sherrie. You are truly inspirational and I look forward each day to your new creations. I will be here when you celebrate your 1 yrs. Hi Sherrie, posted your giveaway on my blog. Congrats on your 6 months! Hiii!!!! I'm a new follower, and I think I got here in a very good time hehe congratulations!!!! Happy Blogaversary! I love your projects and look forward to see them each day. Thank you for the inspiration. I am a follower. Congrats to the Hop winner! I just posted about your giveaway on my blog!! Thanks for the extra chance to win!! Posted your giveaway on my blog sidebar, thank you for the chance to win. Again happy blogaversary! Hey Congrat on your 6 months! I am a follower! Congratulations on your blogaversary!!!! I love your blog and I'm a follower. Thanks for all the inspiration. Hope your day is Blessed. Wow Sherrie you've done amazing for such a short time!!! Congrats Sherrie, a wonderful milestone, with many more to come!!!! Happy Anniversary, I am a follower and a subscriber. Congrats on your 6 month anniversary! Congratulations on fantastic six months! Your work is always amazing! Looking forward to seeing more! How wonderfully generous of you...your blog is lovely, you should be quite proud of your amazing work! Well done!!! Congratulations! I'm fairly new to blogging. Just started entering some challenges. Congrats!!! I'm already a follower. Congratulations on your 6 months of a successful blog!!! I've been following you all 6 months. I think I was one of your first 25 or so followers. Congratulations on an amazing 1st 6 months. Looking forward to many more. Congrats! I still can't believe it's been that short. I wish I had the blog success you're having! Congratulations!! I have loved following you... great inspiration. Hoping your next 6 months are bigger and better than the last. Over 750 followers in only 6 months?!?!? Wow! I thought you had been at this a little longer! Congrats!! I'm a happy follower! I posted your pic and link on my blog candy page. Thanks for the extra chance to win!! Hi. I am already a follower on your blog and love it. WhooHoo! Happy 6 months! I love each and everyone of your creations and look forward to seeing your name on my dashboard letting me know you have yet created anoter piece of art! Thanks for the chance to win the awesome blog candy, this is a cartridge I do not have and would love to win. Congrats Sherrie! I love your work, you inspire me and I can't wait for your next project. I am a follower and posted a link to your blog on my blogspot. Congrats Sherrie on having over 750 followers at just 6 months time. That is a huge accomplishment. Happy Blogaversary! Yay! So happy to be a follower! Thanks for the chance at such a wonderful giveaway! Thanks for the opportunity daaahling! I am a regular follower and I put up a link on my blog! Awesome giveaway!! I am a follower!! Sherrie, you are so kind! Congrats to you on your milestone! I look forward to your creations every week! It just wouldn't be the same without you! I just blogged about you on my blog...sorry, I had to tease you a little, when you read it you will understand why! LOL! Happy Blogaversary!!! I'm a follower. Thanks for the chance to win some great candy. Hi I am a new follower! Happy Blogversary! Looking forward to seeing all your creations! Happy Blogaversary, Sherrie! I'm a follower and I love seeing the beautiful things you create and share. Happy Blogaversary! I can't believe you've only been doing this for 6 months! You are SO talented and I love visiting to see your beautiful creations! Thanks for the chance to win! I posted on my sidebar about your giveaway! Thanks again for the chance to win! Wow, your doing great, you have a lot of followers in such a little time and I am so happy to be one of them! holy cow, its only been 6 mths? Seems like you have been doing it forever, you're awesome! Love all your projects! Been happily following you for some time now,thanks for the inspiration! I am a new follower and subcriber.cant wait to see all your wonderful creations.Congrats on 6 mth. ann. I just added your celebration to my sidebar!! congrats Sherrie- time flies when we are having such fun!! I posted your giveaway on my sidebar. Thanks for the chance to win. Hi, Sherrie! Congrats on completing 6 months in Blogland! I love your blog and am already a follower. I have been wanting this cartridge so bad and it would be a blessing to win it. Thanks for the opportunity. I, too, have posted your giveaway in my right sidebar under "Blog Candy Alerts". awesome! Im a follower.. have been for awhile. thanks so much for the chance to win. congrats on your blogoversary!! just posted about your candy here. Hi! Chriss and Louie sent me to say hi and I am a follower now! Congratulations Sherri - blogging has opened up a whole new wonderful world. I always knew the nicest people are crafters :) Thanks for a chance to win a great cartridge. I made sure I am a follower. Blogging is such a therapeutic thing. I think that in real life, sometimes I feel like I can never be as good as others around me, but in the craft blogging world, everyone has her own style. Everyone has a voice! I love it! Thanks for the opportunity at the cartridge. I'm already a follower! After reading your post I realized that I have also been blogging for six months on the 19th. So congratulations to both of us! I enjoy reading your blog, thanks for the ideas. Congratulations Sherrie on your blog anniversary, wishing you many more to come! You are a true inspiration! Congratulations Sherrie! Thanks for sharing your projects with us and thanks for the chance to win. Happy Blogaversary.... 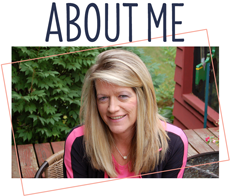 I am already a follower and love to drop by your blog regularly for inspiration! Thanks for sharing your work with us! Congrats on your blog-a-versary! Already a Follower! Posted on my sidebar with a link! Already a Follower! Congrats on 6 months. I'm already a follower. Thanks for the chance to win such an awesome prize. Congrats on six months. Thanks for the opportunity to win. Happy Blogaversary! I'm your newest follower and I can't wait to stop by often and check out what you've created. Thanks! Happy 6-Month Blogaversary! I am a follower of your blog which inspires me so much. Love your creations. I would really love to win the Elegant Edges cartridge (it's one that I don't have yet)! Thanks for the chance! I forgot to leave my e-mail address before: scrappingnomad at gmail dot com. I don't live in the US but have a US shipping address, so I can still play!!! Hey... I'm from Australia so I'm out for this one 8-( but still wanted to say congrats on your blogaversary!! I'm a new follower and look forward to checking out all of your creations and ideas! Very cute thank you note. I am a follower of busybee for some time. I got your blog from her site. I love the giveaway. Thanks for a chance to win. I would love to have this cartridge. Visit my small blog sometime. Happy Blog-a-versary!!! I already am a follower and love your creations. Thanks for the chance to win. Happy Blogaversary!! I'm a follower and enjoy seeing your beautiful projects! I posted about your giveaway on my blog! Thanks for the chance to win this cart, its at the top of my NEED list! :) Congrats again on your milestone! Congrats on 6 months! I love your blog. You do some of the cutest stuff I've seen! Thanks for the chance to win such a wonderful prize!! congrats on your 6 month anny. i'm already a follower. Congrats! I know u will have many more! Alredy a follower! Happy 6 month blogoversary!!!! Here's to many many more! Happy Blogaversary!! I am a follower! Luv seeing all your creations and learning from them. Happy Blogaversary!! I'm a new follower. Joy sent me. Here's to many more years of Happy Crafting and blogging. Congrats Sherrie on your very fun, successful 6 months! I'm so happy you started sharing your work here! I love seeing your creative and beautiful projects. I also love when you visit too! Good Luck with the next fun 6 months and many more! Congrats on your 6 month blog anniversary. Here's to many more.. I love your ideas. I can't believe you have been blogging for only 6 months, you are such a pro!! Congrats!! Love your projects!! Wow! 6 months has already gone by! I remember when you first started, b/c I had just started mine too! You have done an awesome job! And WOW you have alot of followers now :) Congrats! Happy Anniversary and cool blog candy, I'm a follower, posted a notice on my sidebar. Thanks so much for the chance to win such a pretty prize. :) I am already a follower. Woo Hoo! Happy Anniversary on your blog! I am a happy follower. Thanks for the chance to win. Happy Anniversary from your new follower. Thanks for the chance to win! Congratulations Sherrie! I, like you, have made so many friends in the blogging world. Thank you for leaving so many sweet comments on my blog. Great Giveaway Sherrie!!!! Can't wait to see all the things you create in the future!!! Happy Blog Anniversary! I remember looking at this earlier, but I must have had to restart my computer before I commented... I think my computer hates me sometimes. Congrats! I'm a follower! Thanks for the chance! I shared the candy on my blog! Already a follower! Congrats on your 6 month blogiversary! TFS all your creative projects! I'm a follower and really love this site. thanks for the chance to win this great cartridge. This one is on my wish list. I dont have a blog but have posted about it on Facebook. Im a follower and a subscriber. Enjoy your posts. Congratulations on having so many followers and happy 6 month blogaversary!!! 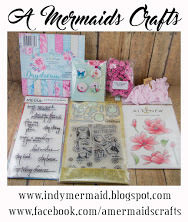 :) I had no idea your blog is so new, because you are such a seasoned, amazing crafter! Thank you so much for sharing your time and talent with us!!!!!!!!!!!!!! 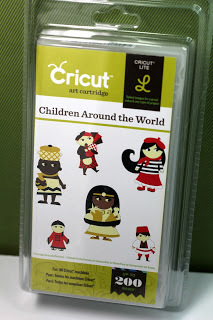 And wonderful blog candy,too (I can't think of a Cricut cartridge that I would rather have! It's so perfect for making mats for stamped images and pictures to go on our scrap pages and cards!)! I am one of your followers :) Thanks for the chance to win this cool cart! Have a great weekend. Happy 6 month blogaversary. What a great giveaway. That cart is on my wish list. I just became a follower and have been checking out your blog. Congratulations on the 6 month anniversary. I look forward to the projects and inspiration. Congrats on your Blogiversary. I am a follower and I would love a chance to win the cartrige. I will be posting a link on my blog as well. Congrats on your 6 month blogaversary! I love the things I have seen made with this! Congratulations on your blogaversary! I've been a follower for a little while now. Love your projects. Happy blogiversary! I am a follower and always enjoy my visits here. Thanks for your kind words on my blog. We were able to get away for a bit and I'm trying to catch up on all my design team comments now - but I'll most certainly be back soon.